I’ve been bothered by the increasingly high walls around Apple’s garden, as well as the ever decreasing quality and user serviceability of their computers. At first, my thought was to switch to Hackintosh (here in a year or two when upgrade time comes around again: I DO NOT need a new computer just yet), but then the problems with various Apple softwares began…The only real complaint I have is with one small function in the Mail app: in an email, when I right-click a link, the option to ‘open link behind mail’ is presented. This is invaluable when checking mail, for me. In OSX Mavericks, this broke. It’s as if they removed the functionality, but not the option, and the Mail update from October or November 2013 didn’t fix it. Mind you, this is not a huge problem, but when Apple fails to get something like this right, I begin to worry, and I would downgrade to Mountain Lion (or Lion, or Leopard even) if I could. 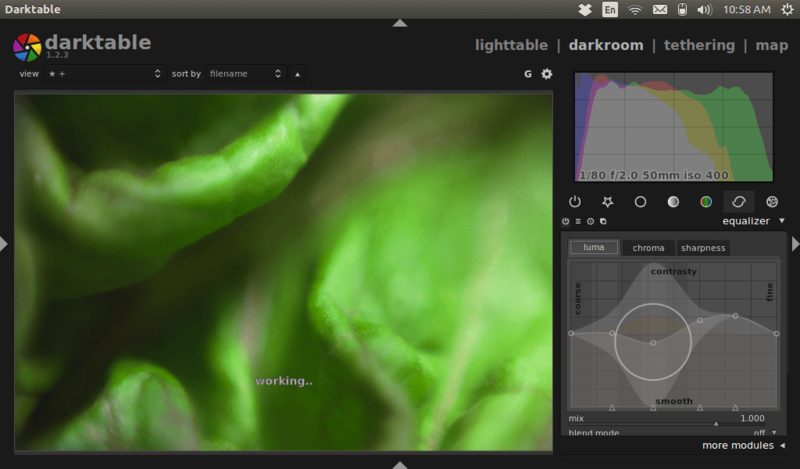 Anyway, as this is ostensibly about testing out photo workflows on Linux, let me get to the darktable. Note that the right side of the window is cut off… Unsurprisingly, there are some problems with running this software on a netbook. Importing is smooth and easy, though the import window is too long to fit into the netbook’s 1024×600 viewport, and the process does take slightly longer on this little netbook than on the macbook pro. There are two buttons on the bottom: I think the left one is ‘Cancel’ (or similar) and the right one is ‘Ok,’ and I think that’s what happened when I tried them, but Allahu Alim (only God knows, and the developers, and any users with a larger viewport that allows reading the text labels on the buttons…). the vast array of options, which is fairly dizzying (more on that below and in coming posts, assuming I keep going with this Linux testing thing), and the difficulty of finding my usual, go-to edit options. One thing I’d like to see (and it’s probably in the wonderfully expansive options menu, but I’m not going to go looking for it until I complete this post, at least…) is the ability to show the star ratings and flags without hovering over an image, and the ability to toggle this on and off. All in all, the editing is slow going due partly to my inexperience, partly to the vast array of choice, and partly due to the organization of the countless options, which doesn’t conform to my normal photo-editing workflow (started in Aperture and carried over, more or less seamlessly, into Lightroom). (and this is mostly my fault…) Darktable is set up to use a much larger screen than this little laptop provides (I think it proably defaults to 1440×900, but I can’t be sure without testing on larger screens), and I can’t resize the window to fit the display unless I close one of the panels. This is a bit of a pain, but shouldn’t effect anyone on normal display sizes. 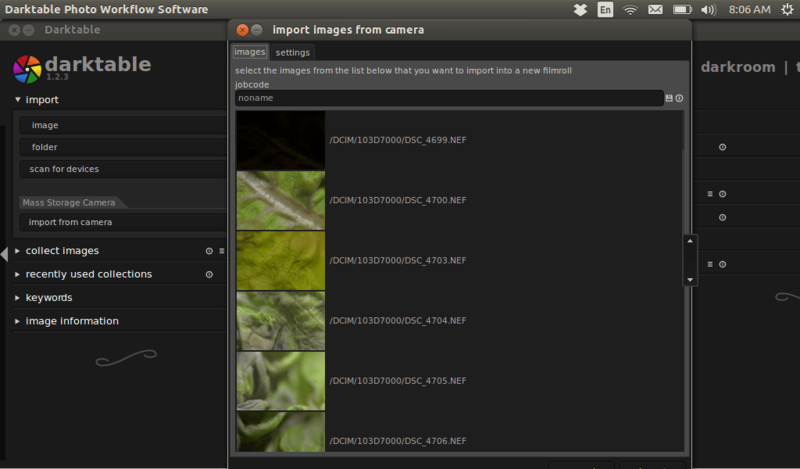 darktable’s import function uses today’s date for naming files, rather than EXIF date. In case you hadn’t noticed, I name image files with project-name|sequence#|©DateOfCapture-JamesECockroft. 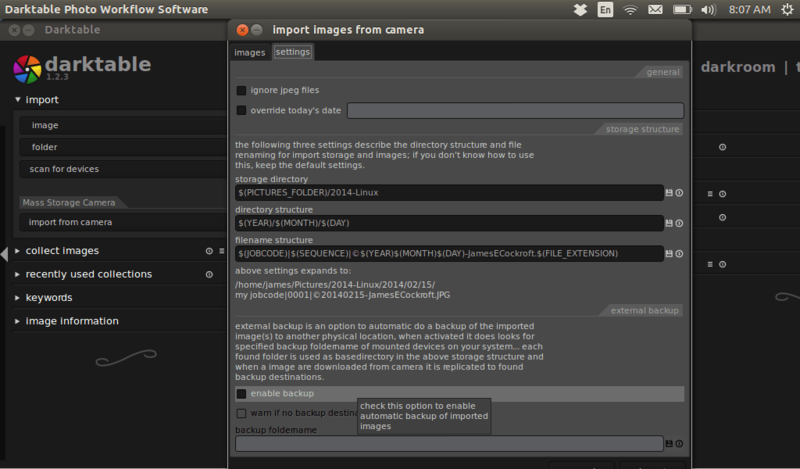 In Lightroom, this works just fine. Not so with Darktable. It appears that this used to be an option, but the script or whatever had some bugs, and so they removed the capability. If this is hugely important to me, I’ll need to use another program to import and sort pics, and only use Darktable for general editing, which sorta defeats the purpose of an all-in-one app like Darktable. window size & position, import & export settings don’t save from session to session. With import and export settings, I think I can save presets somewhere, somehow, but I’m doubtful that the window size & position can be saved anywhere. Again, this is (mostly) only a problem for the netbook. 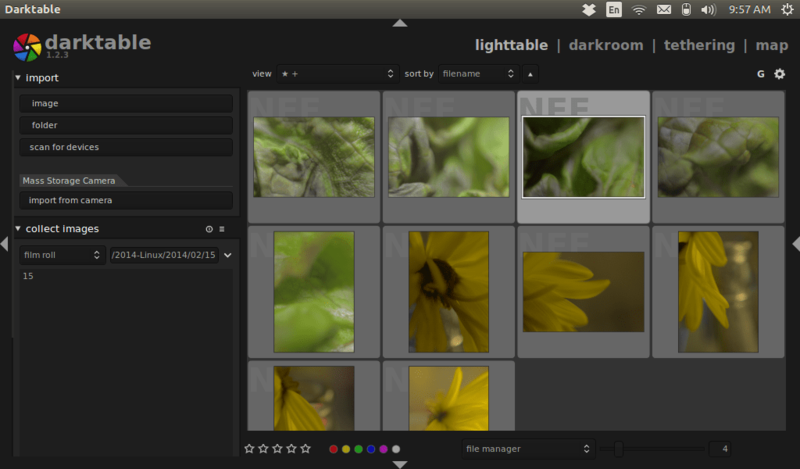 Even with a larger screen, though, it would be nice if darktable remembered which panels were collapsed and all from session to session. D7000. mamiya/sekor 50mm f/2, reversed. ISO400, AP mode, f/2. 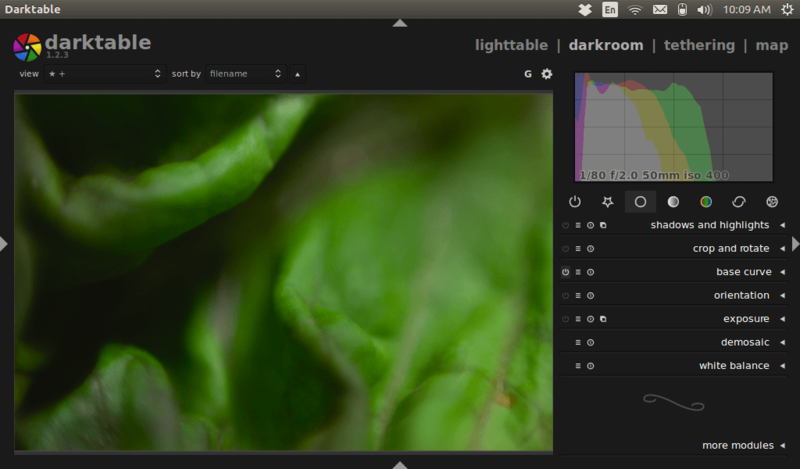 Processed, slowly, in darktable 1.4 on the eee pc, running Ubuntu 13.10.